Is Performance Modelling / Prediction a replacement for Performance Testing? 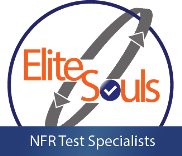 EliteSouls is a specialized NFR testing service provider founded & managed by Elite & Seasoned IT professionals who are highly passionate & possess specialized expertise in providing NFR (Performance & Security) testing / QA , Engineering & Training services. As digital product’s user experience can be greatly improved through a strong focus on non-functional requirements, we strive for validating & assuring the software product quality against NFRs. Register With Us To Receive Alerts On Our Latest Technical Posts , Course Launches & Upcoming Special Offers. Copyright © 2018 EliteSouls Consulting Services LLP. All Rights Reserved.